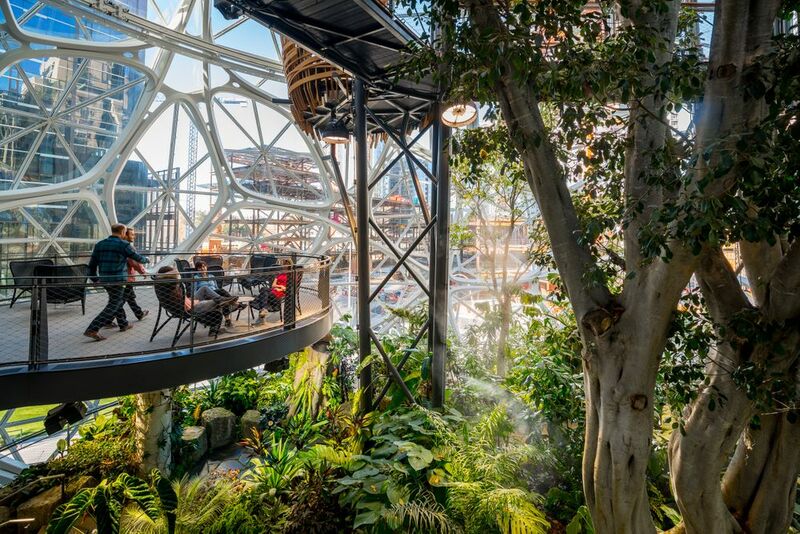 After watching the Amazon Spheres being built for nearly two years, I finally got access to photograph them, and the best kind of access - the sole photographer allowed in for 8 hours of shooting. 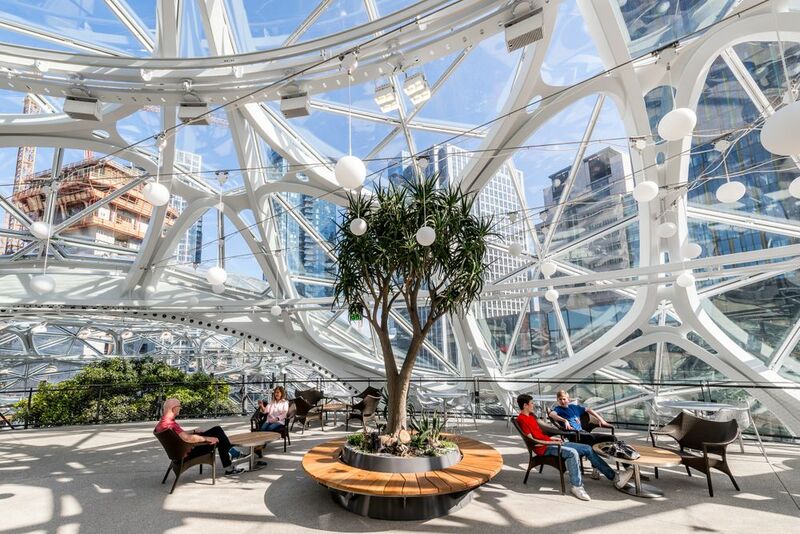 Walking in, though, my first reaction was I wouldn't have enough time. 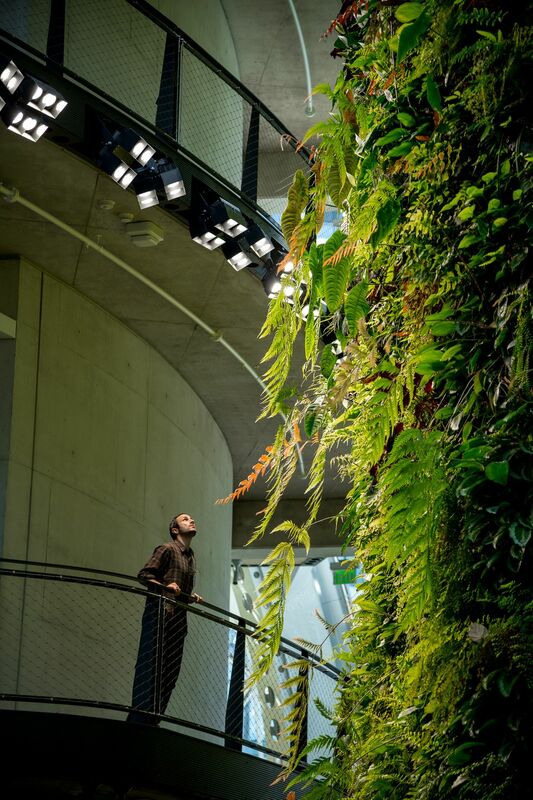 The sheer scale of the project and the constantly shifting lighting created myriads of possible images. 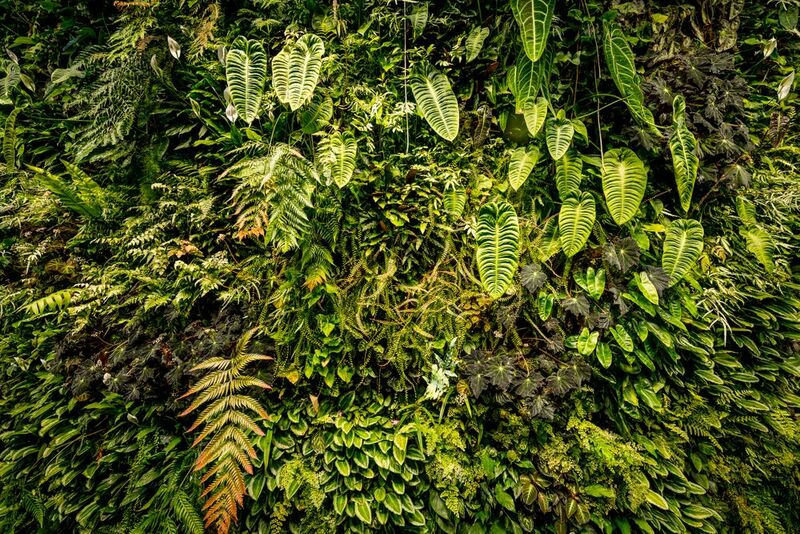 It was really overwhelming. 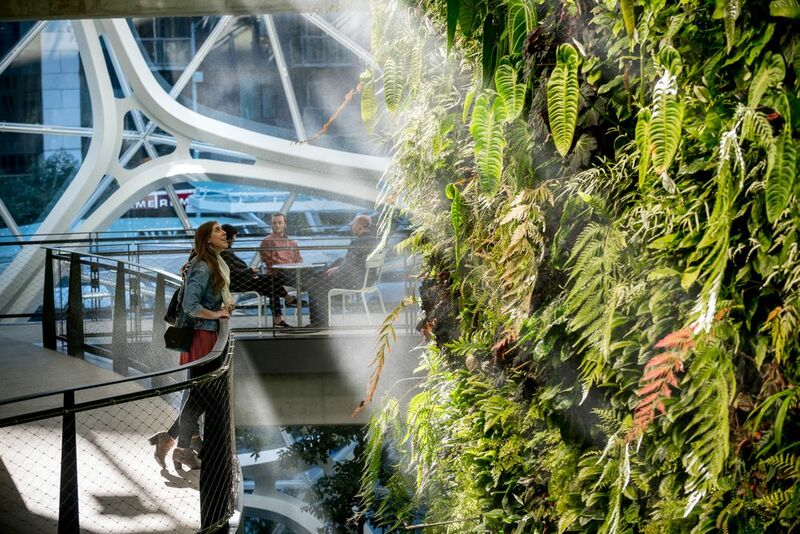 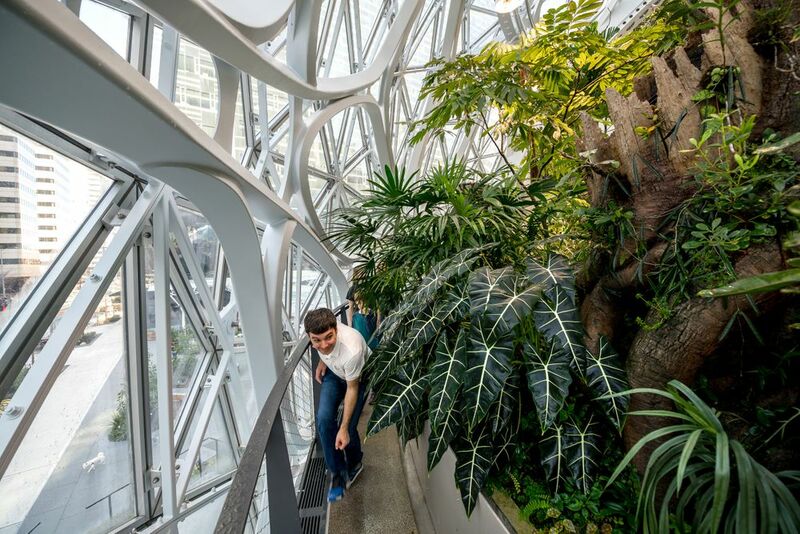 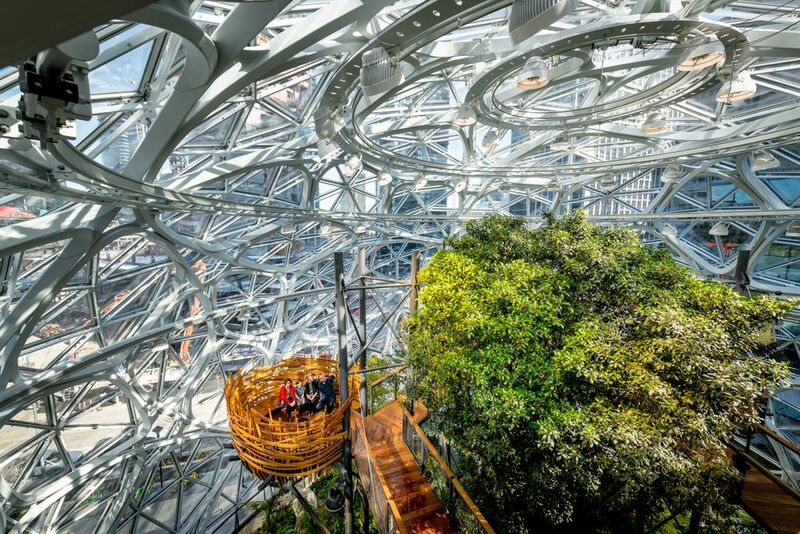 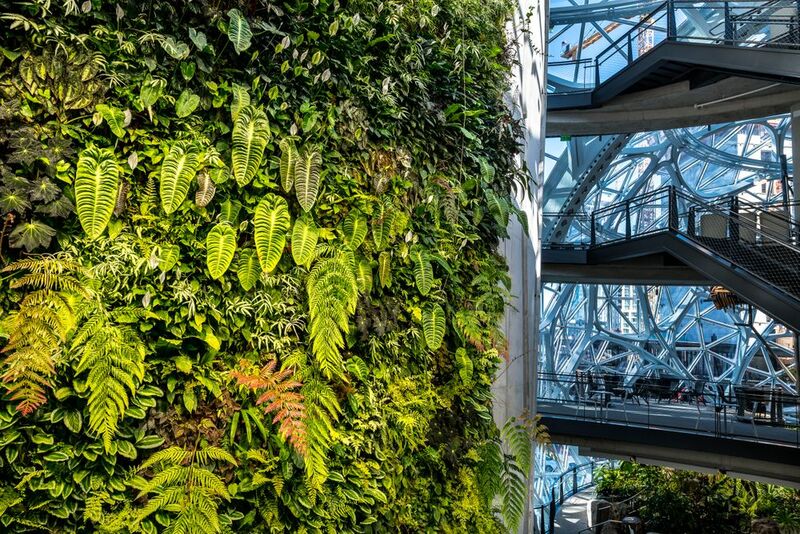 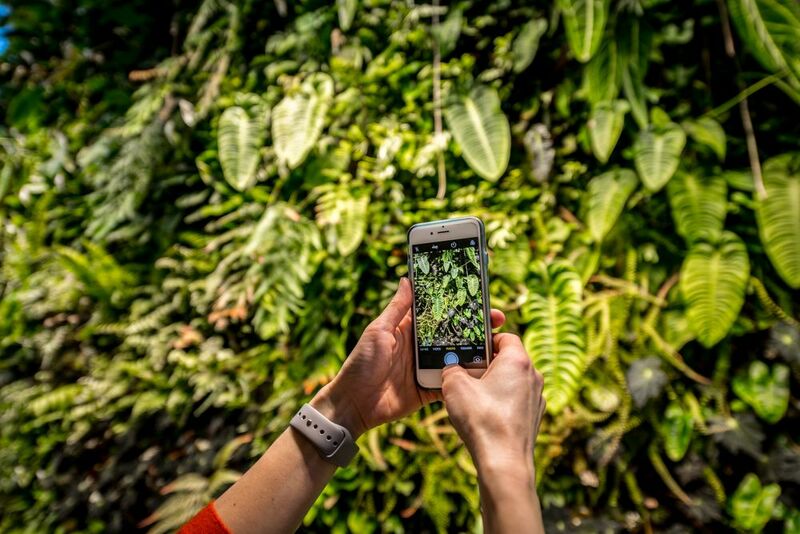 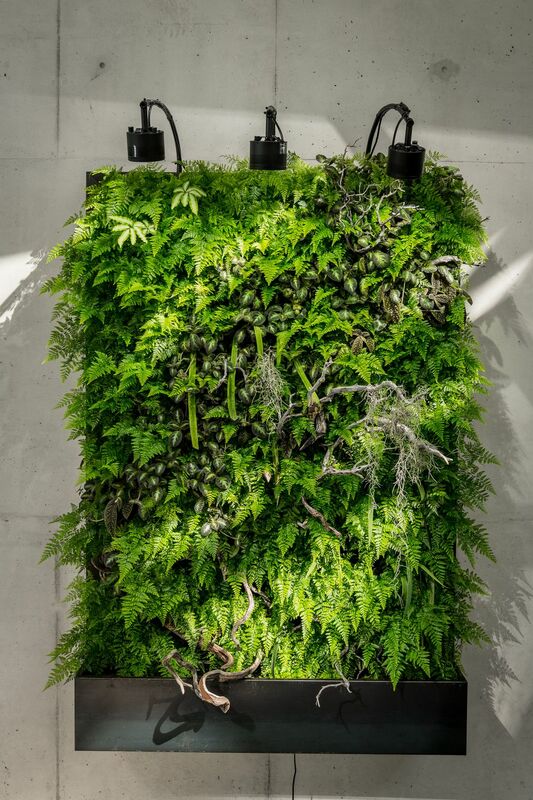 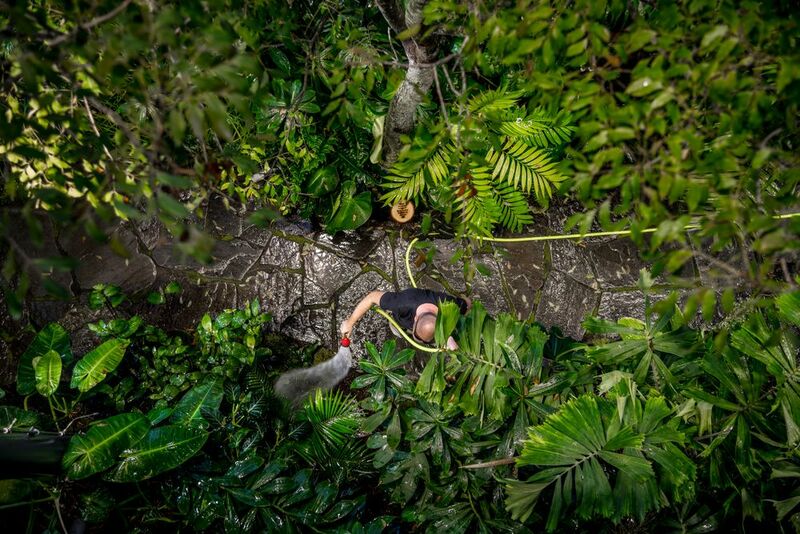 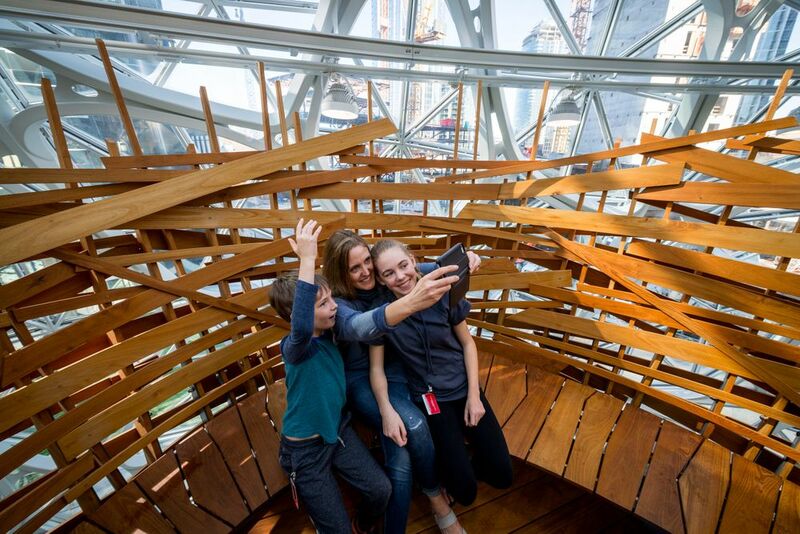 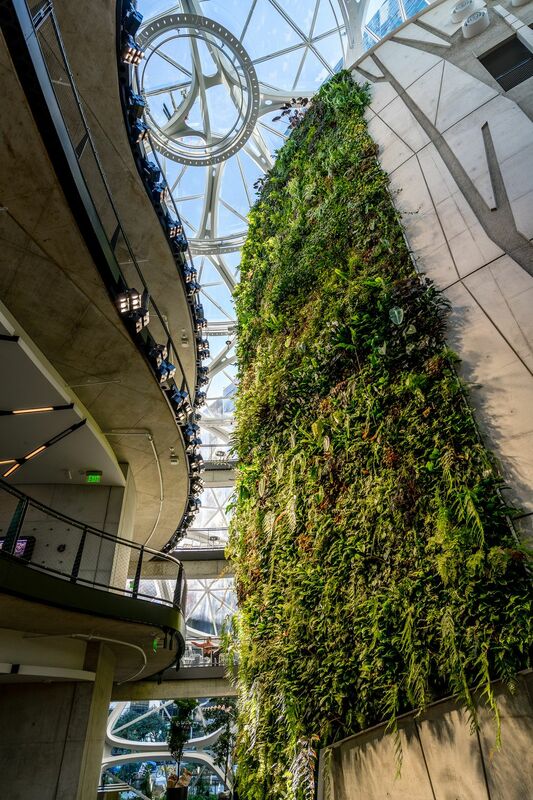 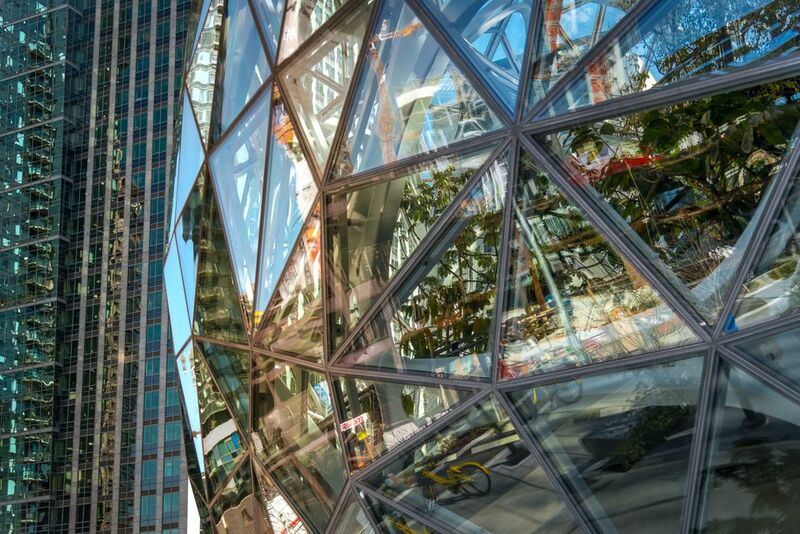 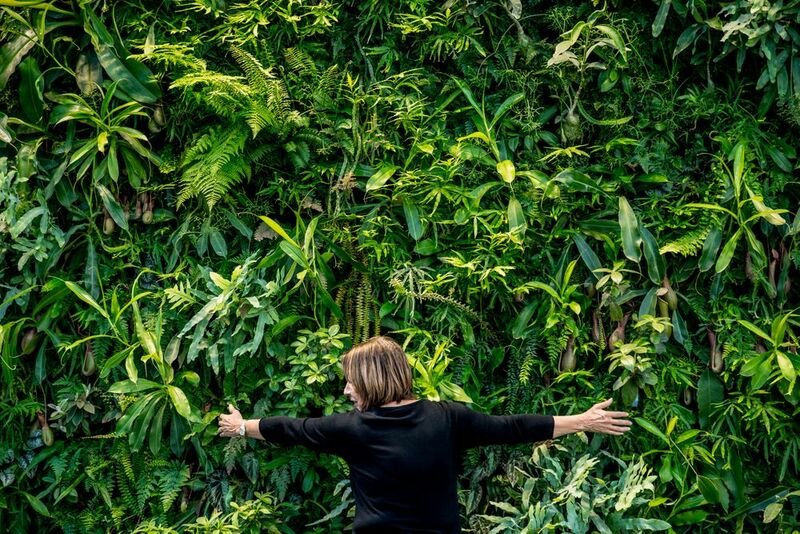 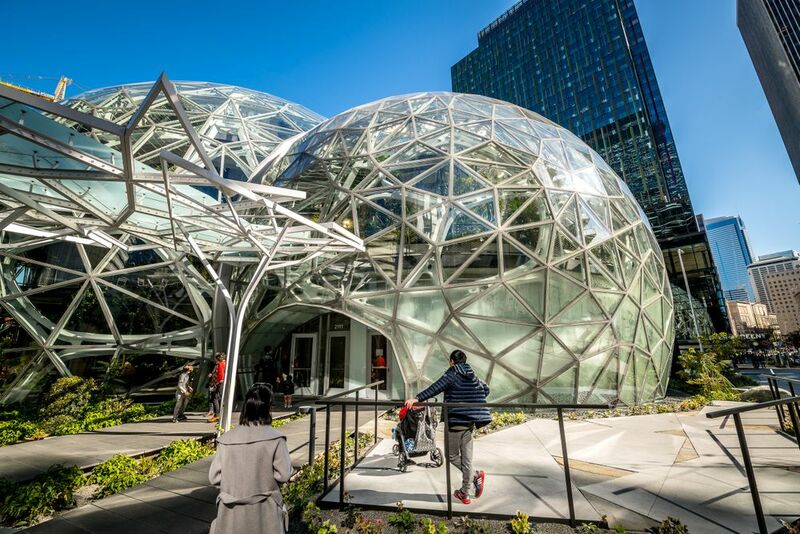 The images were taken for Site Workshop, a landscape architecture firm in Seattle, who did all the plantings inside and outside the Amazon Spheres. 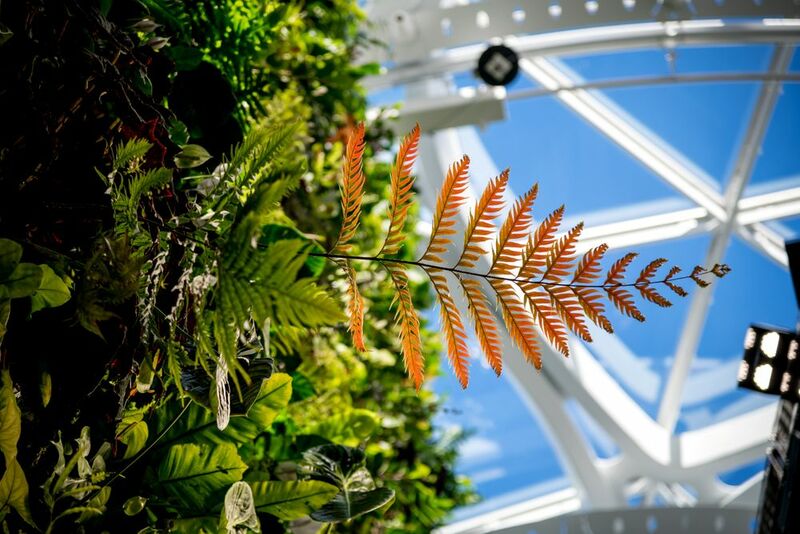 The three spherical conservatories were inspired by the Palm House at Kew Gardens in London and house some 40,000 plants from 50 countries, meticulously laid out inside the 4-story structure. 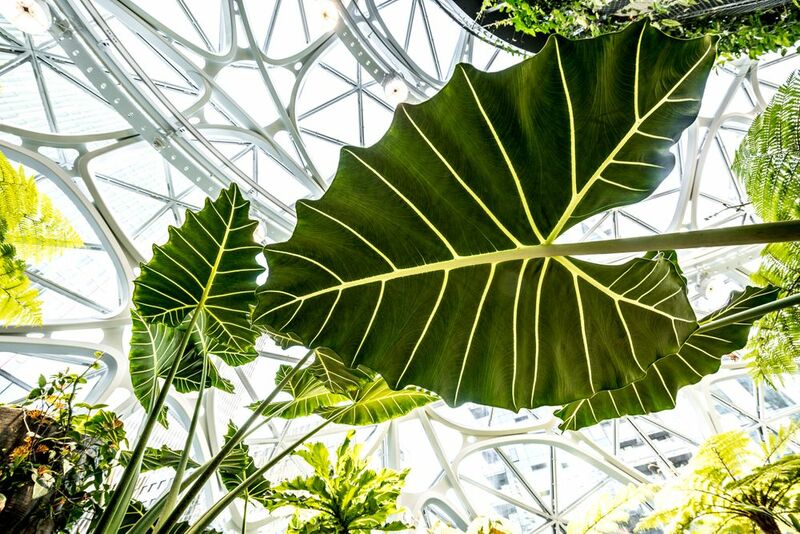 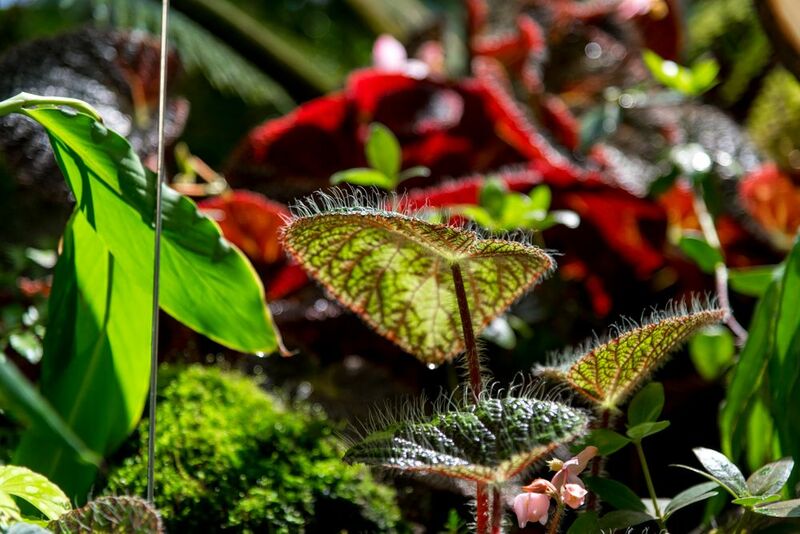 The domes are kept at a temperature of 72 °F (22 °C) and 60 percent humidity during the daytime, similar to the elevated tropical forest conditions where the plants came from. 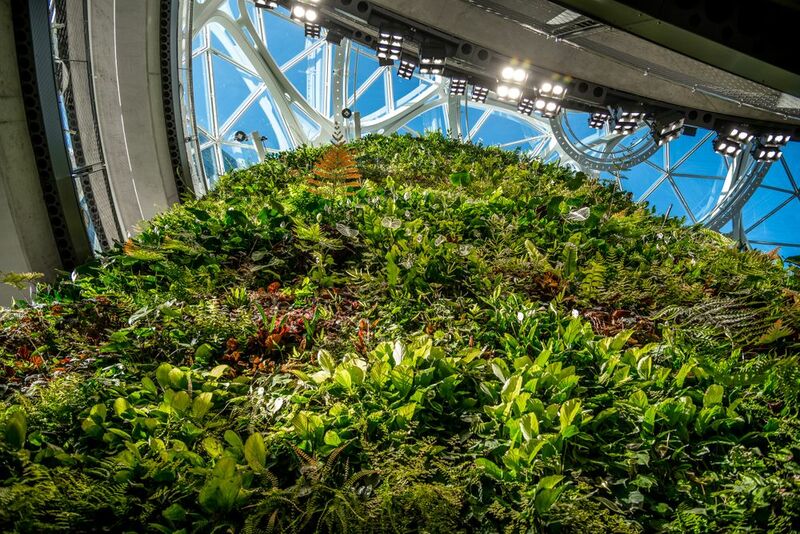 On this visit I focused just on the interior of the Spheres as some of the exterior landscaping work is still in progress. 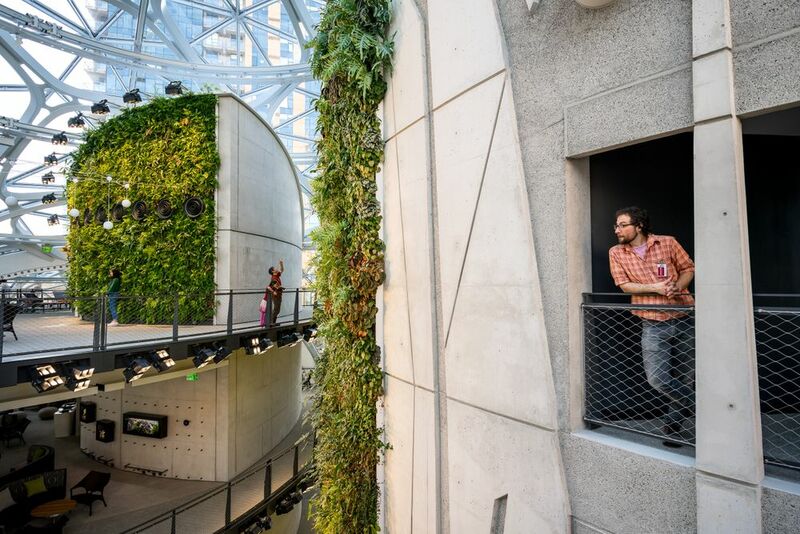 I will return this summer and shoot more of the outsides of the Spheres and how the public interact with them.